Gee,wonder if the bad guy's gun was legal? LB's book, The Book of Barkley, is out. 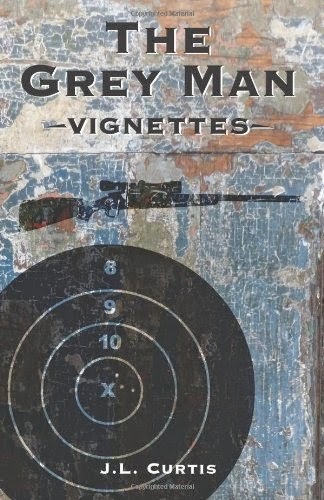 I have my copies ordered on Amazon (presently showing sold-out). You can order yours using this link. Her eulogy to a gentle and loving soul who, in this life had four legs and fur, is a tribute to the bond that they shared. 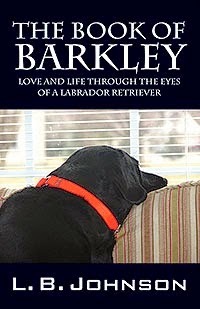 I was fortunate to be a beta reader for this book and to know Barkley IRL (he never realized that he really wasn't lap-dog sized) or that a couch might have limited space. Schmoo treated him like her goofy little brother and it was always a joy to have him (and his red-headed person) visit. Having him visit after her passing was a balm to my battered soul and his visible joy at arriving at his (third) home never ceased to bring a smile. I highly recommend this book for anyone who has known and loved a friend-in-fur. One of the great ones. From Maverick to Rockford to Maverick's dad, and a whole slough slew bunch of parts in between. So in Chicago last weekend, a guy first confronted and then shot at some people leaving a party. One of them was a military service member with a legal concealed carry permit. Two shots and bad guy went to the hospital. Two unidentified perps continued to shoot at the people. Wonder if any of the other firearms used were legally obtained and if the shooters had their permits?? Wonder how bad it would have gotten if the group hadn't had someone who could defend them from the trigger-happy thugs? I know a lot of folks on Facebook. I used to have an account but the reports of privacy issues finally got to be too much for me. And now they have been experimenting on people using their media without knowledge or permission. But yet most folks I know still maintain their accounts. Some of my IRL friends only use Facebook for keeping in touch and yes, I've probably missed quite a bit by not keeping a minimal account. So, question for everyone still using Facebook: Why, considering the abuses of the management and the political stance of Zuckerberg regarding 'amnesty' which includes flawed and skewed data to bolster his opinion, do you still have an active account and haven't told them to go pound sand?? Is it that convenient or that useful that these egregious abuses can be overlooked? Or that you feel that your little account isn't important enough for anyone to look at or use? I really am trying to understand so any help would be appreciated! So now the climate change folks are saying that a sunnier Scotland will cause the dying out of the ginger gene and that in the future there will be no redheads. Because being ginger is a mutation that won't be necessary. Maybe there's some pre-ancestor that put the red-heads into gene pool that we don't know about (like the Denisovians and the Tibetans) so maybe ginger isn't a gene mutation at all. Every day these idiots keep on proving that they are well.... idiots. They are no less or more than the guy standing on the street corner with a sign saying 'The End is Near'. For myself, I'm going to try to blog more since every post adds carbon to the atmosphere. Via Irons in the Fire (Elmtree Forge) I present to you Corporal Dipprasad Pun, a 31 year old Gurkha deployed to Afghanistan, who just received the Conspicuous Gallantry Cross from the Queen of England. For what was probably either a very long or very short fifteen minute span, he single-handedly held off Taliban fighters he caught trying to blow up the front gate at his outpost. For whatever reason, he did not have his Kukri with him so it was the one weapon or improvised weapon he did not deploy (he even tried to use a sandbag but it wasn't tied properly so the sand fell out). He also saved the lives of three others at the outpost by his actions.